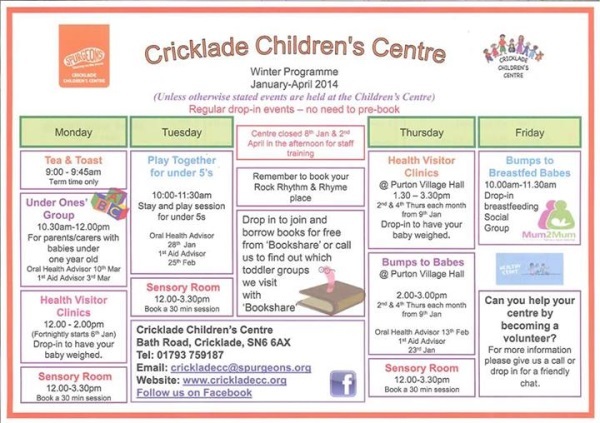 Cricklade Children’s Centre is a Surestart centre commissioned by the local authority and managed by the children’s charity Spurgeons. A one stop shop for families with children under the age of 5 and offer a range of support services and signposting, responding to the needs of children and their families in this community. They are committed to providing support that will enable these children to enjoy their childhood and fulfil their true potential.